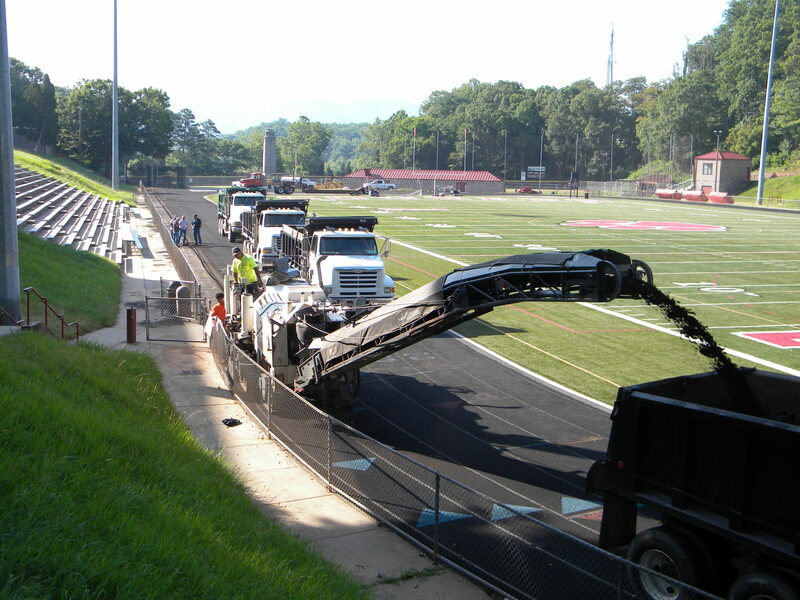 Environmental Responsibility JLS Company LLC, Specializing in paving and site preparation. At JLS, we care about our environment, our mountains, and our trees. Asphalt concrete is often touted as being 100% recyclable. Asphalt concrete that is removed from a paved surface is usually stockpiled for later use as a base course material. This reclaimed material, commonly known by the acronym RAP for "recycled or reclaimed asphalt pavement," is crushed to a consistent gradation and added back to the mixing process. Very little asphalt concrete is actually disposed of in landfills. Cold mix asphalt concrete is produced by emulsifying the asphalt in water with (essentially) soap prior to mixing with the aggregate. While in its emulsified state, the asphalt is less viscous and the mixture is easy to work with and compact. The emulsion will break after enough water evaporates and the cold mix will, ideally, take on the properties of cold HMAC. 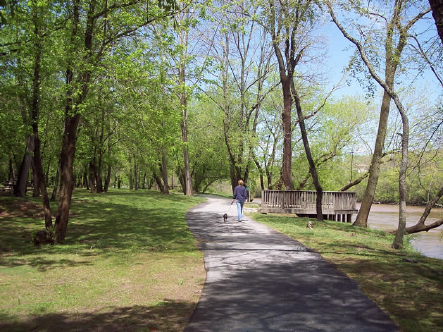 Cold mix is commonly used as a patching material and on lesser-trafficked service roads and walking paths, such as the one below that JLS Company surfaced along the French Broad River in Asheville, NC. 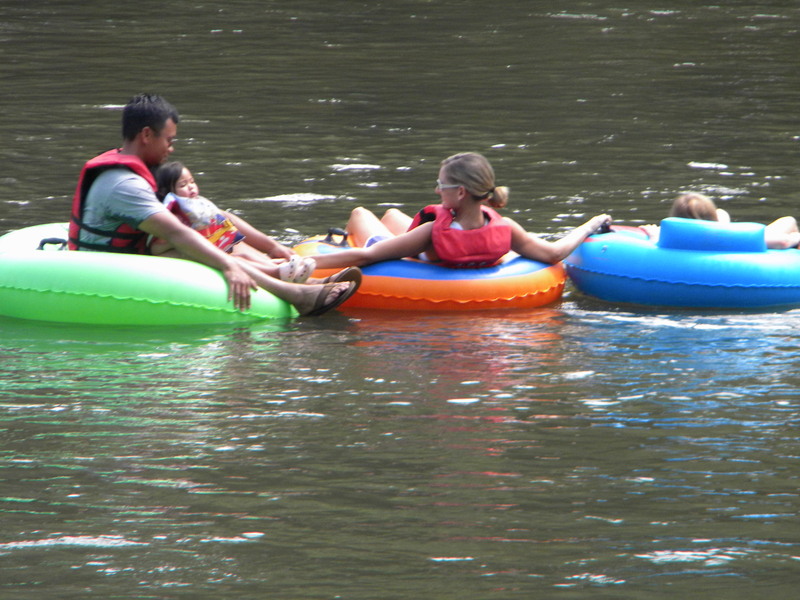 The tubing activities were happening at the same time JLS was surfacing the walkways.